IF WE CAN’T MAKE YOUR LISTING ODOR FREE WITHIN 24 HOURS-WE PAY YOUR CLIENT $200!! Real Estate Agents and Property Management Companies in Minnesota face foul odors in their properties for sale or rent almost daily. We all know that it’s extremely difficult to sale or rent a residential or commercial property to your clients when a foul odor stops them at the door. Make sure you check out the video testimonies towards the bottom of this page. Minnesota Odor Removal guarantees 100% odor removal of any kind within 24 hours, or it’s free. No reason to pay if we can’t remove the odor. If we can’t eliminate the odor within 24 hours, we will pay your client $200.00 for wasting their time and your time. NO OTHER COMPANY IN MINNESOTA HAS A GUARANTEE THAT CAN MATCH OURS! This is not a gimmick. We have maintained an A+ for over 4 years with the BBB. All Real Estate Agents and Property Management Companies get 20% off all our services. There is no need to remove carpet/carpet pad with our process, on most jobs. No need to paint with our process. 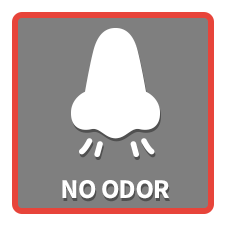 We simply abolish all odors, leaving behind no toxic chemicals. No film on walls, floors & windows. No cover up smells like cherry, lemon, etc. Chlorine Dioxide Gas penetrates deep into every surface it comes into contact with. ClO₂ in gas form has a molecule size of 0.124 nanometers. 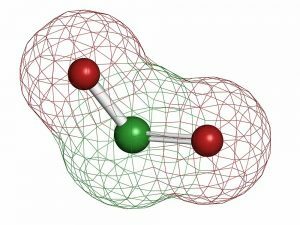 To get an idea of what that means, Approximately 800 Chlorine Dioxide Gas Molecules will fit inside one ozone molecule. For decades ozone was the choice of restoration companies for odor removal from smoke, dead animal smell, pet urine, etc. So imagine how much further Chlorine Dioxide, in gas form, can travel into any surface in your home or business, totally destroying odors, bacteria, mold and viruses in record time, without leaving a film or any chemical off gas. Chlorine Dioxide will not stain, will not corrode, has no fragrances or Volatile organic compounds (VOCs). No other chemical has these combined capabilities. ClO₂ does not need to be rinsed or towel wiped after it has dried on the surface. Chlorine Dioxide is NOT Bleach or chlorine. ClO₂ does not produce chlorinated by products and is not a carcinogenic. Unlike regular chlorine, Chlorine dioxide oxidizes products rather than chlorinating them. There is no other anti-microbial chemical that has Chlorine Dioxide’s wide-spectrum capability or low toxicity footprint. Only Chlorine Dioxide can be generated and used in either a liquid form that can be applied by hand on porous or non-porous surfaces, or in the form of a gas that will penetrate into all cavities that cannot be reached by hand cleaning alone. ClO₂ is widely recognized as being highly effective and safe by both the FDA and EPA.